In 1974, a baby arrived in the suburbs of Indianapolis, Indiana from the planet Cripton. 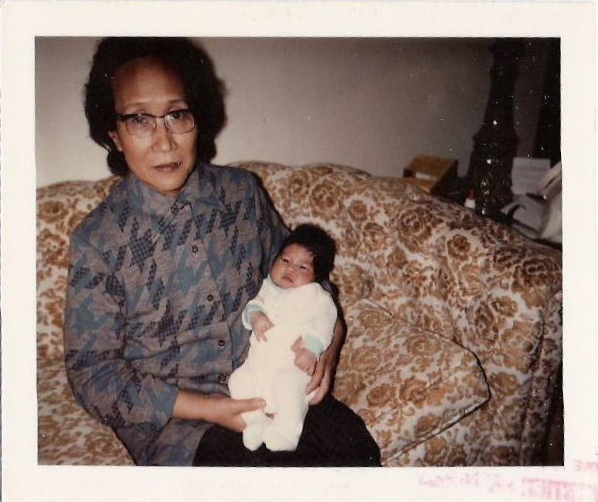 She looked like the offspring of two Chinese immigrants, Ma and Pa Wong, but something was different. The Earth’s gravitational force made it difficult for this baby to raise her head. She couldn’t crawl and went straight from sitting to walking. Perplexed, Ma and Pa Wong took their baby to the doctor and found out: she is a mutant from Cripton! This is her origin story. A bundle of weirdness (1974). This baby alien learned the ways of the Normal quickly; watching Sesame Street and reading books, she immersed herself in the cultural mores around her. She communicated and moved in ways that wouldn’t scare the kids on the playground; she knew how to talk to adults when they routinely poked and prodded her. Eventually, she grew up and realized she was not alone, that there were other mutant Crips! As she came into the age of ascension, “Alice,” her Earth name, embraced her identity and found power in the community of fellow Crips around her. Scrutinized and labeled deviant by the Authorities, Alice and her Siblings of Cripton continue to fight for social justice and equality for mutants and non-mutants alike, even as they face discrimination and oppression for being the Other. So that is my mash-up nerd biography. It’s true, I was born in 1974 to immigrants from Hong Kong, and I am a crip. 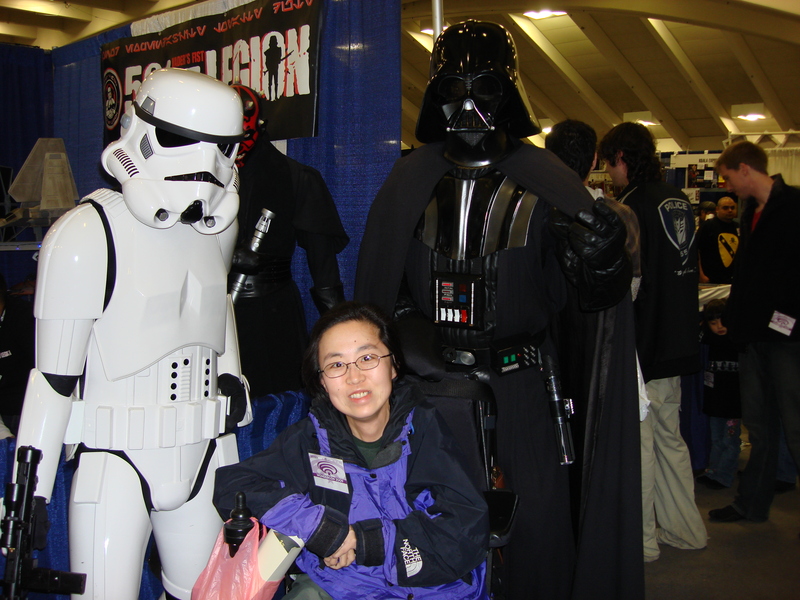 It’s an understatement to say my love of all things science fiction and cartoons intensely informed my identity as a disabled Asian American woman. Still steaming that Wonder-Con moved from SF to Anaheim. Anaheim?!? I actually do have a mutated gene — I was “born different” from most babies with a condition called spinal muscular atrophy. I grew up hearing terms such as “weakness,” “congenital,” “defect,” “pathology,” and “abnormal,” associated with me. I didn’t realize the way it assaulted my personhood. 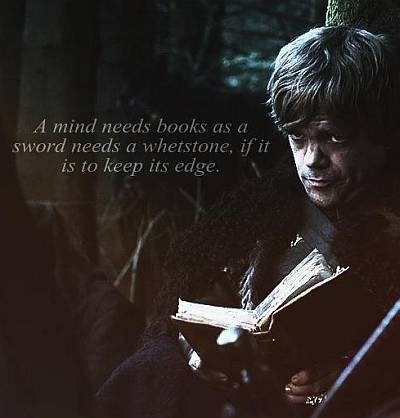 Those words transformed into sources of power and pride as I fell into my imagination through reading, writing and watching a whole lot of television. I stopped walking around the age of 7 or 8. This separated me from most of my peers who took part in activities that I couldn’t keep up with. Television and the library became my sanctuary. I distinctly remember being the first person up every Saturday morning because my favorite cartoon, Super Friends, was on at 7am. I think it was my first time seeing an Asian character, Samurai, in a cartoon (and no, Hong Kong Phooey didn’t count) flying around in his cyclone torso. It was the first time I saw a superpower as a “special” ability. The Super Friends were a unique minority that was valued yet not fully understood. In elementary school I read Madeleine L’Engle’s A Wrinkle in Time, and it blew my mind. 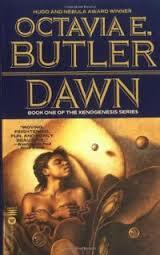 Many books later on, I discovered Octavia E. Butler and then my mind really became blown. In Lilith’s Brood, the Oankali are repulsive and yet incredibly perceptive and sensitive aliens. They do not understand humans’ fear of difference. To them, genetic variation is a positive, not a negative. Plus they have a third gender. MIND BLOWN! Like the Super Friends, I developed an affinity for ensembles such as Star Trek: TNG, Star Trek: DS9 and of course… the X-Men. To have the most powerful mutant of them all, Charles Francis Xavier1, as a man in a wheelchair, absolutely delighted me when I started watching the animated series in 1992. It was like, “F*ck yeah, just try to talk down to me. I’ll implode your mutant-hating heart.” Actually, that was more of Magneto’s attitude. Professor X kept things calm and cool. He commanded respect and his competency never questioned. It’s okay Cyclops is blind, he can blow up tons of stuff. 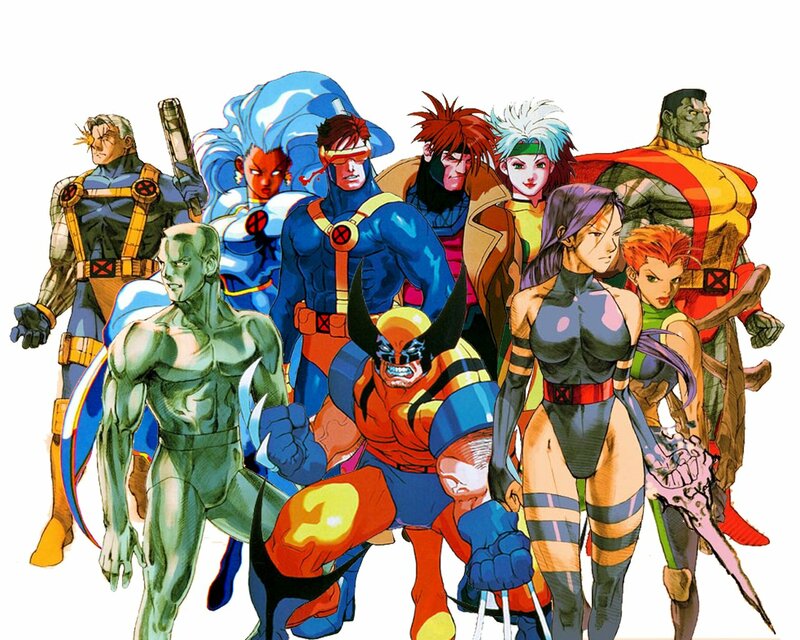 In the X-Men universe, its themes and characters resonated with so many communities: LGBTQ, immigrants, and people with disabilities. The X-Men asked a lot of complex questions in their storylines about assimilation, identity, morality, militarism and diversity. There’s something incredibly affirming when you see yourself reflected back in popular culture. In the science fiction, fantasy, and comic book world, we may identify with characters like us, characters unlike us, or characters we want to become. 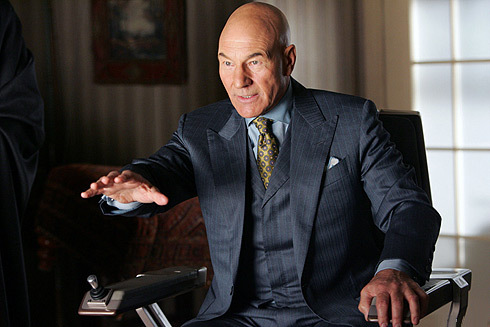 Professor X is someone I identify with and aspire to (although my temperament is a bit more like Magneto). Nerd culture — in books, movies and television — filled me up and transformed the way I viewed my disability since my nascent origins. Who are nerds but those left out, ridiculed, neglected, and undervalued by dominant society? Who are nerds but those who embrace difference, seek community and support the powerless? I am… a NERD OF COLOR! Reblogged this on The Muses Guild: THE MAP OF BRAAVOS. Thank you so much for your kind comments! Mutant pride, MikeyB!